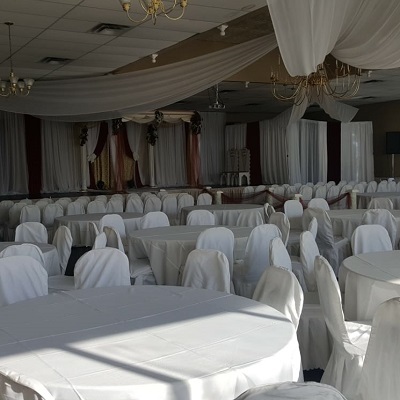 KD Rentals is a business that strives to provide our clients with quality products available for rent that is suitable for all types of functions. We offer a wide variety of essential equipment that is ideal for your party, company launch or event of any sort! We guarantee our clients will receive the best value for their buck, and can rest easy, maybe even on one of our comfortable chairs! Each and every one of our products is vital in making your event successful! We will do our utmost to help satisfy your needs and cater to your preferences. Customer satisfaction plays a fundamental role in the way we operate our business, so you can relax and enjoy your event! No matter where your event is located, we will be punctual and ready to work! 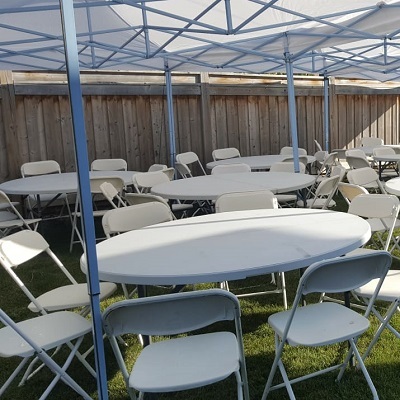 Currently, we are renting out: chairs, tables, canopies, chafing dishes, cutlery, and tablecloths whilst continually expanding our repertoire to better suit your needs! 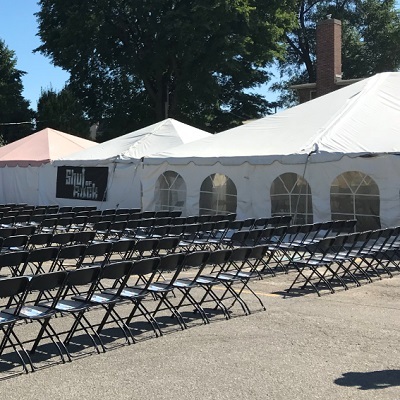 White, black and padded folding chair rentals. We have rent comfortable chairs at a low-cost. Perfect for any gathering. 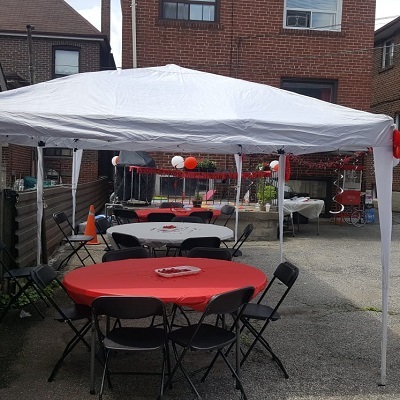 Rectangular and round folding table rentals. 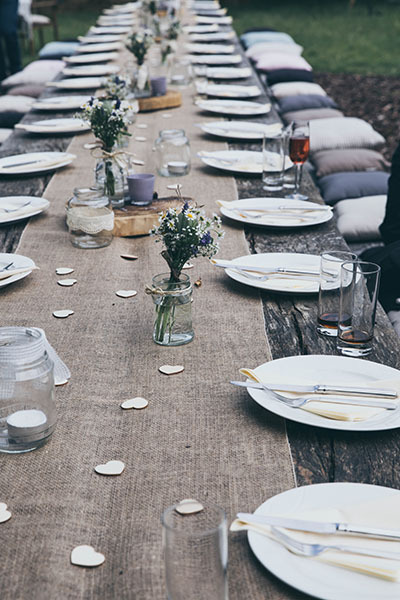 Order sturdy and low-cost tables that are perfect for any party, event or special occasion. Glassware rental for any type of function. We offer tumblers, martini glasses, champagne flutes, water goblets and more. 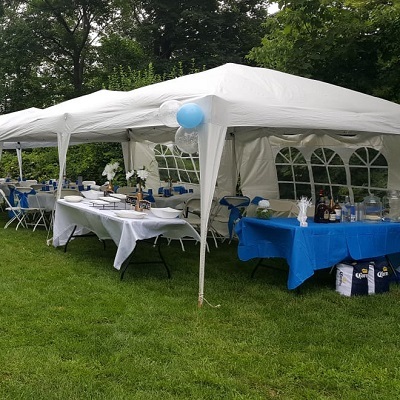 White tent rentals that come in two sizes. 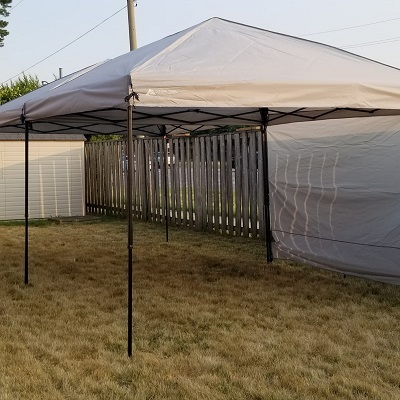 Rain or shine these tents are affordable for any outdoor party or event. Plate rentals for your perfect party meals. Our dishware is low-cost and perfect for all types of occasions that require dining. Table line rentals for rectangular or round tables. They come in a variety of colours and the best part is you don’t have to worry about washing. Coffee urn rentals that serve up to 110 people and keep beverages nice and warm. This adds a touch of elegance to any function. 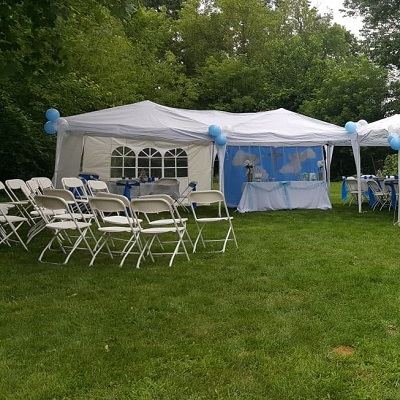 Concession equipment rentals such as popcorn and cotton candy machines add fun to any function and make it an event to remember. Cutlery rental such as knives, forks, spoon and teaspoons that are excellent quality. Let us worry about the flatware so you don’t have too. We guarantee our clients will receive the best value for their buck, and can rest easy, maybe even on one of our comfortable chairs!